Today, animals and humans live in closer proximity than ever before due to rapid urbanization, population growth, a changing climate, globalization, and the expansion of the livestock industry. This means that zoonotic diseases are on the rise and pose a global threat. Since 2005, the U.S. Agency for International Development (USAID) has been a leader in prevention, detection and response to disease outbreaks that have the potential to become pandemic threats. By partnering with other U.S. Government agencies and multilateral, bilateral, national, non-governmental, and private sector players, USAID implements activities to promote Global Health Security for All through its Emerging Pandemic Threats Program. Workforce Development: preparing current and future professionals in Africa and Southeast Asia to work more effectively across a variety of sectors and disciplines to address zoonotic and infectious disease health threats. Surveillance: strengthening country capacities to prevent, detect, and respond to the spread of H5N1 avian influenza and other zoonotic pathogens among livestock, wild bird populations and humans. Work with partners to increase understanding of what drives disease outbreaks. 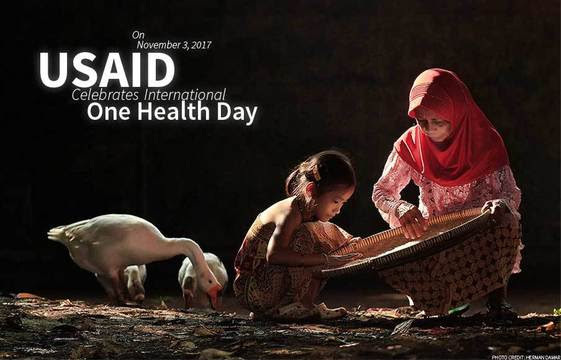 Follow @USAIDGH and use #OneHealthDay to learn about efforts globally. Register to attend or follow a livestream of the Preparedness & Response Project’s One Health Day symposium at George Washington University on November 3, 1:00 pm–4:00 pm EDT. Follow #Health4Security as USAID participates in Devex and PATH’s From Healthy to Secure online campaign.